Join our Flowers Fan Club at checkout & get 10% off all online orders! 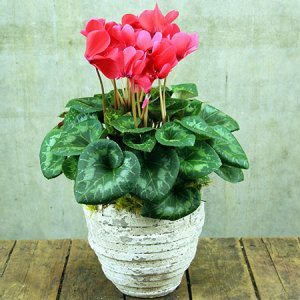 Become a Flowers for Everyone Fan (if you are not one already) at checkout and receive an additional 10% off your purchase price when sending Mothers Day plants and gifts. You will also start receiving our fortnightly e-newsletters containing fab specials and the latest promotions (with an option to opt out of course), plus the ability to set automatic reminders so you never forget another anniversary or birthday again! ORDER MOTHERS DAY FLOWERS AND PLANTS FOR A CHANCE TO WIN A FABULOUS PRIZE! Send a plant for Mother`s Day in Sydney and automatically go into the draw to win a fabulous prize. For competition details click here. Would you prefer to pick up your Mothers Day plant from one of our stores and save on delivery? Not a problem. Simply give us a call toll free on 1800 66 66 46 or email sales@flowersforeveryone.com.au We have florist stores located in the Sydney CBD, Rouse Hill Town Centre, Stocklands Balgowlah and Stocklands Merrylands. 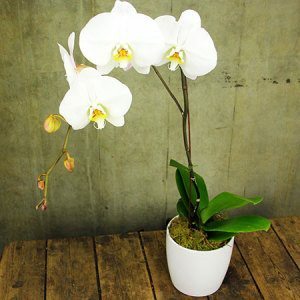 Ordering a plant for Mother`s Day in Sydney is simple. Either make your selection in our online florist shop or give the team a call toll free on 1800 66 66 46 1800 66 66 46 FREE FREE. It is important to ensure the correct delivery address and contact details are provided at the time of ordering, as well as any special delivery instructions that may assist the driver on this super busy day, particularly a safe and secure place to leave mum`s plant if she is not at home. Specific delivery times on Mother`s Day are unable to be guaranteed due to the sheer volume of deliveries, however we will do our best to deliver for either AM or PM requests. We appreciate your understanding in advance!